UXBRIDGE, Canada, Jun 4 2012 (IPS) - The best way to protect the Arctic is for all nations with an interest in the region to participate in its governance – including non-Arctic nations like China, Brazil, and Singapore – suggests a new report. As global warming creates new opportunities for shipping and resource extraction in the vast Arctic region, non-Arctic nations should be considered for membership as observers on the influential inter-governmental Arctic Council. However, there is a growing realisation that governments too often put economic interests first and management of the fragile region should be more widely shared. Granting observer status should be conditional on a public declaration of their “respect for the sovereignty of Arctic states and the rights of Arctic indigenous peoples”, recommends the report “Canada as an Arctic Power”. The report derives from a special two-day summit convened by the Munk-Gordon Arctic Security Program, one of Canada’s foremost initiatives on Arctic issues. The Arctic Council is the only international body that gives indigenous people a seat at the table, noted Tony Penikett, former premier of the Yukon, one of Canada’s three Arctic territories, and a contributor to the report. “Indigenous peoples have a strong voice and it is very important this continues to be recognised,” Penikett told IPS. Singapore is a major shipping nation and has an interest in the opening up of the shipping lanes through the Arctic, while Brazil is interested in the natural resources of the region, he said. Other countries are looking at the fisheries opportunities as the sea ice melts. However, at a recent International Polar Year conference, 2,000 scientists called for an international moratorium on Arctic high seas fishing. “Canada will chair the Council in 2013 and we would like Canada to push these recommendations forward, particularly the recognition of the rights of indigenous people in the region,” he said. The rapid warming of the Arctic and its resource potential has led to widespread concern about how development in the region will be managed. That’s why a group of 14 young people, aged 17-24, from Canada, Norway and Hong Kong are going to the Summit on Sustainable Development in Rio this month. “There is already some oil and gas extraction going on in the Arctic. Canada has begun to auction off oil leases in its Arctic area,” says 20-year-old Andrew Wong, executive director of the Students on Ice Alumni Delegation. “We shouldn’t be waiting for governments to decide these issues. They matter to us and to our generation,” Wong told IPS. All of the students in the delegation have been to either the Arctic or Antarctic. “Some of us live in the north. We’ve seen the effects that rapid climate change is having on these regions, and we’ve learned about what effect those changes will have on our ability to develop sustainably in the future,” said Jenna Gall, co-director of communications for the delegation. 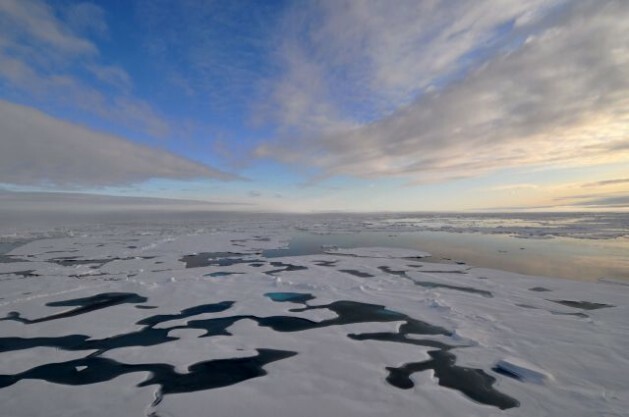 “The polar regions are where the climate change is happening first and fastest. This is creating new resource development opportunities,” said Wong. The students intend to put their policy recommendations for the sustainable management of both polar regions before the governments of the world at Rio. Those recommendations include recognition the rights of indigenous peoples to have a say in future development, protection of polar oceans, and striving for carbon neutrality in Antarctica. Surprisingly, the polar regions are not on the agenda at this year’s summit in Rio, but the student delegation hopes to change this, hosting their own meeting on the sidelines of the main summit while formally submitting their policy recommendations to government delegates. “We want to see a global agreement that fairly and effectively addresses the sustainable development challenges of our time… You can’t do that without factoring in the incredible changes taking place at both poles,” Wong said.